Have you been served with a Summons and Petition from a debt collector? You are not alone. Thousands of Oklahoma consumers are being sued every month, and there has been a marked increase of garnishment actions. Sometimes the original creditor of the debt will sell the debt to a professional debt collector. The lawsuit could have been filed by Love Beal and Nixon, Berman & Rabin, Hood & Stacy, Machol & Johannes, or possibly Rausch Sturm Isreal Enerson & Hornik. Regardless, you need to get in touch with experienced debt defense lawyers as soon as possible! We offer a free telephone consultation, so there is no risk for you. Debt collectors like Midland Funding, Portfolio Recovery Associates, National Collegiate Student Loan Trust and Cavalry SPV I file hundreds of lawsuits each month literally banking on the fact that most consumers will just ignore the lawsuit, leaving the debt collector with an automatic win, and instantly allowing them to garnish your wages or bank account without further notice to you. Sometimes the original lender files suit, but often debt is sold, and you may be sued by a junk debt buyer whose name you may not recognize. These debt buyers often do not have the information to prove to the court that they legally purchased the debt, and you may have other defenses available. 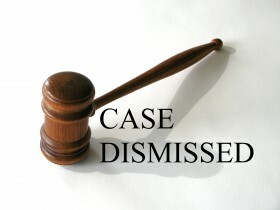 They usually dismiss the case without our clients paying them anything if we are hired before the Answer is due. The following is a list of dismissals obtained where our clients paid the debt buyer nothing, and the case was dismissed. If you’ve been sued by Midland Funding, Portfolio Recovery Associates, National Collegiate Student Loan Trust, Velocity Investments, Autovest, Gemini Capital Group, Cavalry SPV I, Bureaus Investment Group, Asset Acceptance, National Collegiate Student Loan Trust or any other debt buyer in Oklahoma, we can help. We have debt defense lawyers that work in Tulsa County and surrounding counties, including Creek County, Oklahoma County, Osage County, Wagoner County, Muskogee County, Okmulgee County, Pawnee County, Mayes County, Creek County, and Washington County. We’ve received numerous dismissals for our clients from third-party junk debt buyers like Midland Funding, Cavalry Portfolio Services, Equable Ascent Financial, Portfolio Recovery Associates, Security Credit Services, Asset Acceptance, Bureaus Investment Group Portfolio, Cavalry SPV I, Precision Recovery Analytics, Capital One Bank, TD Bank USA, LVNV Funding, Unifund CCR, Gemini Capital Group, Cavalry Investments, Marshall Recovery, Velocity Investments, and Jefferson Capital Systems. That’s all great, but how much does it cost? Possibly nothing. When you contact our firm, our debt defense lawyers will thoroughly investigate Whether you could qualify for free legal representation due to an FDCPA violation. If it appears that you have been the victim of unfair debt collection, our firm may be able to defend your lawsuit without charging you anything out of pocket. Even if there appears to not have been any unfair collection activity, our lawyers will be happy to give you a free consultation regarding your lawsuit. 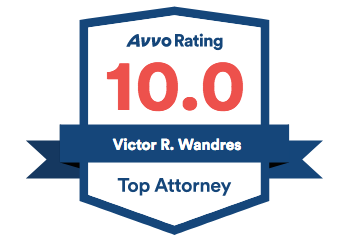 Many of our clients are surprised at our extremely low rates and very high success rate of getting Love Beal and Nixon and Asset Acceptance lawsuits dismissed! We offer free consultations but it is very important that you to contact our office as soon as possible after you have been served with a lawsuit. The longer you wait, the more difficult it becomes for us to help you! Unfortunately, we’ve had to decline many cases when the consumer tried to defend the lawsuit on his or her own, after they’ve lost in court. If you’ve been served, fill out the form below and experienced debt defense lawyers from Paramount Law will contact you about your options!